The action of season three is set in a new modern clinic founded by professor Yuriy Klimov. He is doctor Roman Shyrokov`s former father-in-law with just a year left before retirement; during this time, Klimov is to find a worthy successor. But this is not the main reason for which the professor invites Roman to work together again. Roman Shyrokov is the only person able to carry through an innovative medical research development; the fate of professor`s daughter Nina depends on it. However, the clinic investors and employees are not happy about a new professional coming in. Professor`s deputy, doctor Oleg Chernov, also considers Shyrokov as a threat. So, he is ready for everything to get rid of the competitor. 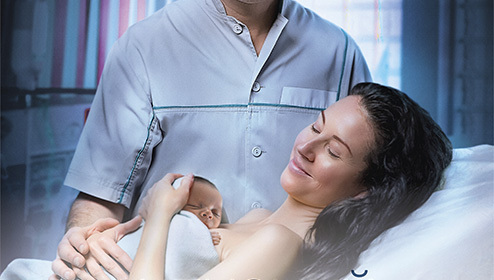 Still, in spite of intrigues and opposition from the colleagues, in each episode doctor Roman Shyrokov keeps working miracles and helps beautiful babies see the world for the first time.